A root canal, or endotherapy, is used to treat a tooth when its nerves and the surrounding tissues have been damaged. 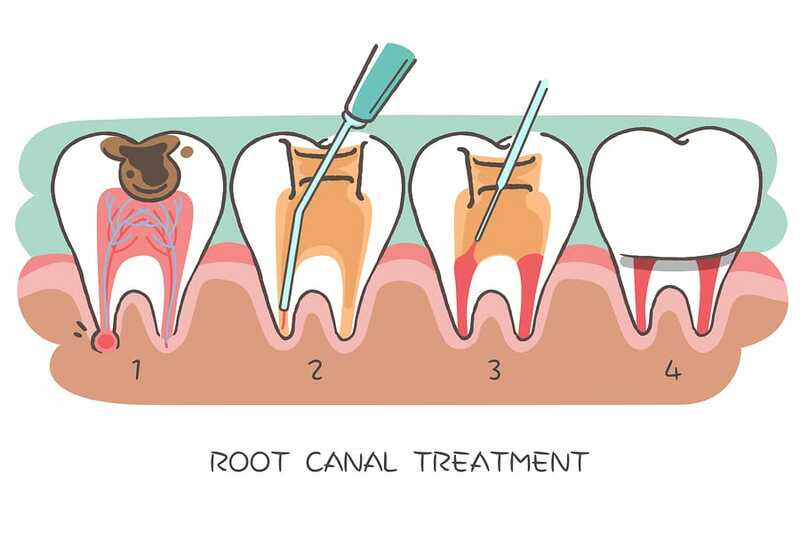 The root canal process is performed in a two-step procedure where the infected tissues are firstly removed, followed by sealing and filling the interior of the tooth. This process ensures that the infected tissues and nerves cannot cause further oral health issues. A filling or crown is used to make sure that contaminants cannot get back into the affected area and cause further infection. There are several symptoms which indicate you may need a root canal. 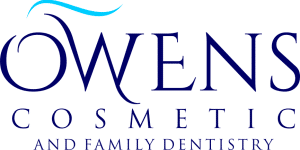 A consultation with your dentist at Owens Cosmetic and Family Dentistry can confirm if the procedure is necessary and alleviate any anxiety you may have about the process. 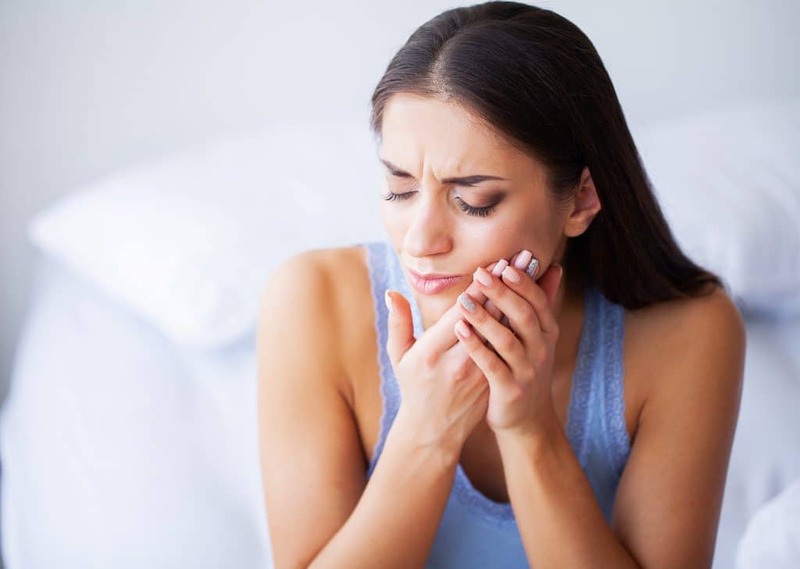 Severe, acute and constant pain experienced when chewing or applying any type of pressure to the tooth is the most obvious sign of a root canal infection. If you are experiencing strong and prolonged pain after eating hot or cold foods, then you may need a root canal. This pain can last for more than 30 seconds. This pain is often reported as feeling like consistent pressure or throbbing on the affected tooth, making the ache from eating even worse. A discoloration, or darkening, of the damaged tooth is another symptom of needing a root canal. The tooth will appear to be more brown or yellow that what is usual. When this has occurred the darkened tooth material will be removed, and a crown used to cap the tooth and return your pearly white smile. In rare cases this is the only symptom and your dentist will need to perform an x-ray to confirm the damage to the tip of the tooth’s root. Root canal infections can inflame the gum line, making your gums swollen, tender and redder than usual. You will notice this inflammation is localized to the area directly surrounding the damaged tooth and not spread along the whole gum line. Persistent bad breath and a root canal infection often go hand-in-hand. The bad breath is caused by the bacteria in the root of the tooth causing the infection. If your bad breath will not go away even after you have brushed, flossed and gargled with mouthwash then it is possible you have a root canal infection. If a dental abscess forms, then the bad odor and chronic toothache will be exacerbated. A dental abscess forms when a root canal infection is left without treatment for too long and dying pulpy tissue in the root of the tooth coupled with bacteria forms a pus-filled pocket at the top of the root. Often there will also be small red pimple type bumps on the gum where the abscess is, and it may leak a bad smelling liquid. During your root canal treatment, the abscess will be drained, and the dead tissue and bacteria will be removed. There is often a lot of anxiety around the process of getting a root canal, including a fear of severe pain, and stories passed on of a failed root canal and ongoing root canal problems. However, with a fully qualified dentist a root canal is the most effective way of treating the infection while maintaining your natural tooth and beautiful smile. The risks are minimum and the procedure is often pain free with the use of local anaesthetic to fully numb the area. If you have a root canal infection it is vital you consult with your dentist and receive root canal treatment immediately. Good oral health is so important for your overall health and confidence, so don’t put off treatment because of unwarranted fear! Please contact Dr. Scott J. Owens DDS at 248-626-0772 or use the convenient online form to schedule an appointment.